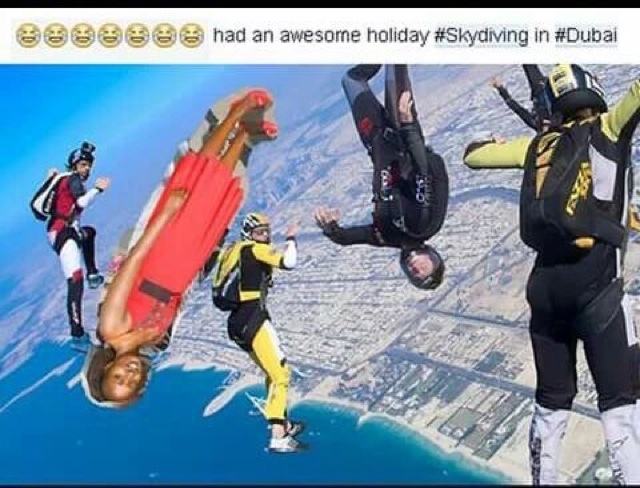 A woman from Kenya has edited herself into a series of other people's holiday photographs on her Facebook page. 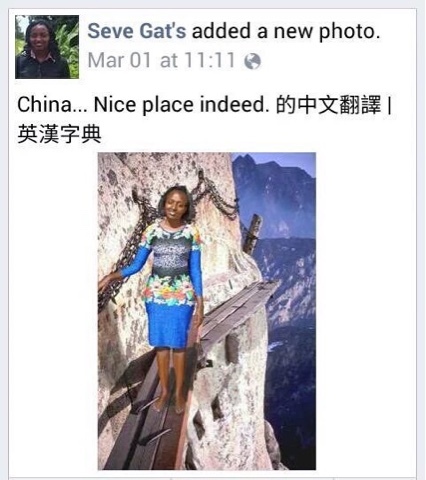 Not being able to afford a trip to Asia, Sevelyn Gat inserted herself into snaps standing next to a plane, on the Great Wall of China and at a temple. 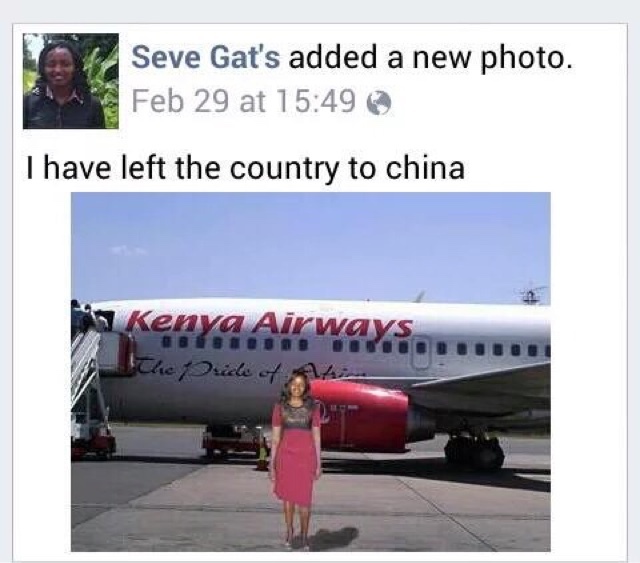 The photoshopped images were so bad that they've been liked thousands of times. Nairobi businessman Sam Gichuru has now come to her rescue and raised enough money for her to go on holiday. According to Sick Chirpse, Sam "harassed" his friends into donating cash for travel, four-star accommodation, insurance and some pocket money. Seve has also got her first birth certificate, is applying for a passport and has got an internship as a project manager. 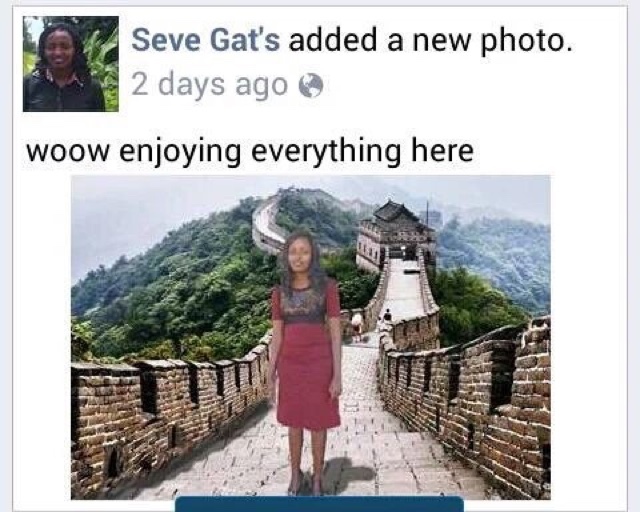 Of course, people on social media couldn't help editing Seve into other images from around the world, using the hashtag #WhereIsSeveGatsNow.